Online speech therapy with Hello makes your child the center of attention. Our wraparound model allows all of the important people in your child’s life to participate in therapy to whatever degree you choose. Children, kids, students, little stinkers . . . whatever you want to call them, they’re at the center of everything we do. This means that they will be engaged to whatever extent possible in determining the goals we’ll target, how we’ll target them, when we’ll target them, and who will be involved in helping along the way. They’re in the driver’s seat. We’re all just part of the pit crew. Your Hello SLP is responsible for making sure the wraparound services stay in constant, efficient movement, ever focused on supporting the child in the center of it all. Need to schedule your session after school but before soccer practice? You got it. Need your session recorded so you can reference it later? No prob. Want to take a peek at what your child wrote on the whiteboard during a session? Your SLP has that covered. There are lots of moving parts, but none of them is more important than the 45 minutes spent in the treatment session with your child. Modern parenting could be described as a juggling-tightwire-lion-taming-elephant-riding-trapeze act. There’s seemingly no end to the coordinating and scheduling and connecting, and it can sometimes feel like our kids are lost in the shuffle that’s supposed to be all about them. Speech therapy shouldn’t feel that way. Log in at the dentist’s office and connect professionals in your child’s life with a few clicks. Log in in the middle of the night to send a quick message canceling an appointment because your kiddo is sick. Log in when you’re halfway across the country on business to watch the archived video of your child’s session earlier in the day. Life under the big top just got a little bit simpler. Whether it’s your nana, your neighbor, or your nanny, chances are good that someone else cares enough for your child that they make snacks for them a few times a week. Wouldn’t it be great if they could check-in and see what tricks the SLP is using to get the little guy to make that tricky sound? Or if your child could access therapy while they’re at their house after school? Done and done. 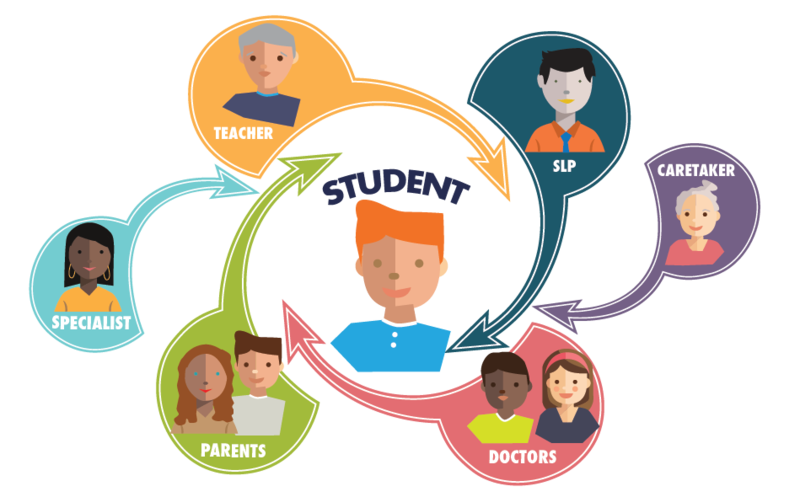 School SLPs, occupational therapists, mental health professionals, behavior therapists, and any other specialist you can think of can be involved in your student’s therapy to whatever extent you choose. Once they’re a member of your child’s team, they can send messages, watch videos, access resources, and share information as they see fit. Teachers spend hundreds of hours with your student every year, so naturally they’re immensely important to setting and achieving speech therapy goals. 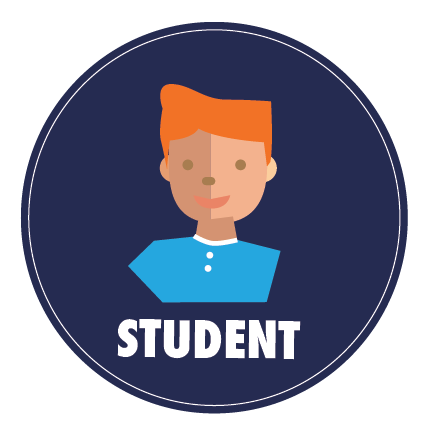 Whether they want to share a video from class, consult on special homework, problem solve around classroom challenges, or even sit in on a therapy session, we’re here for all of it. The orthodontist who wants to see the techniques being used to address your child’s tongue thrust. A general practitioner who wants a progress update before the next Well Child check. An ENT who wants to share what they saw when they looked at the tonsils. And so on. You’re empowered to invite anyone on your care team to participate in therapy.